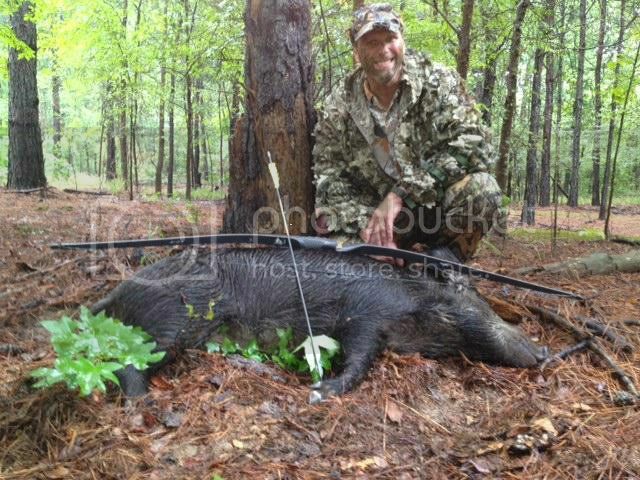 Took these two sows in Southern Arkansas with my Centaur Dark Matter Take-down - 55# @ 28" after I took lessons from Rick Welch of Dakota Bows. Need to learn to wipe my face camo off before trophy shots ! Simmons TreeShark did a great job! Only been shooting trad bows since the first of 2012! This is fun ! Way to go sir! Nice hogs! You've been too busy killing pigs and deer! It looks like you are thinning down your harem (?) of Bear TD's! 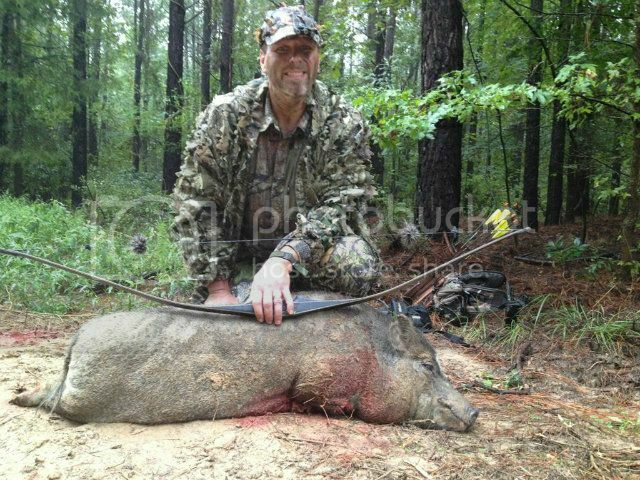 Fine job, fine piggies and fine bow. Wayto go on the porkers! Congrats on the hogs, and I like the face paint too.